What If My Income Increase After I File For Bankruptcy? Then I say, ‘Congratulations! !’ This obviously means you are well on your way towards the fresh start / clean slate that a bankruptcy is supposed to provide. But there are certain things you should know about how this might affect your Missouri bankruptcy. To begin with, when you file for bankruptcy, the court is interested in knowing what your household income was during the six months preceding the filing of the case. This information will determine (at least initially) whether or not someone qualifies for a discharge of unsecured debt (things like credit cards, medical bills, payday loans, and deficiencies from a repossession, foreclosure, or rental contract). The reason why the court looks to the past is because that is something that can be determined with a great deal of accuracy. It is easy to figure out how much you made over the last six months (you can usually just look at your most recent paystubs). If we were to look forward, it would be guesswork. So the only thing the court has to look at is the past. If the last six months of income put you below the median income level for your household size, then you qualify for a St. Louis Chapter 7 bankruptcy (with a few wrinkles that should be considered as well). From start to finish (from when you file to when you receive your discharge), a Missouri Chapter 7 takes about three to four months. But once you file the petition for relief, the only thing the court looks at is what happened in the past. So if you get a fantastic job earning substantially more money six months after you file for bankruptcy, that is great news for you (because there really isn’t anything that anyone can do about that). The only exception would be if you were to receive something from a divorce settlement, trust or will when someone dies and leaves you something, or sometimes when you receive money from a personal injury suit, workman’s compensation case, or something similar in which you stand to gain monetarily. But all of this would have to occur within the six month period of time after you file for the Trustee to receive anything. So if you get divorced a year after filing your case, and receive a monetary settlement from your ex-spouse, it’s yours to keep. In a St. Louis Chapter 13 bankruptcy, things are a little bit different. When you file a Missouri Chapter 13, the court still looks to the last six months of household income to determine how much of a guarantee will be necessary to pay to your unsecured creditors. But if you either 1) anticipate an increase in income after the case is filed, or 2) find yourself with an increase in income after the case is filed (even if it wasn’t anticipated), it is incumbent upon you to disclose this information to the Trustee. The reason why is simple enough: the Trustee’s main job is to get as much money from you as he can to the unsecured creditors. And if your income increases during the time you are inside a repayment plan, then that must mean that you can afford to pay more per month (at least this is the Trustee’s point of view). 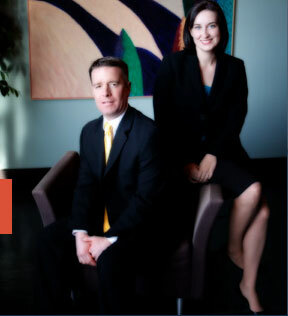 The affordable St. Louis bankruptcy lawyers at Brinkman & Alter, LLC have been assisting clients with their bankruptcy needs for years. Our goal is to make sure you receive the most reliable, useful, and expert advice we can give, and get you on the road towards financial freedom.